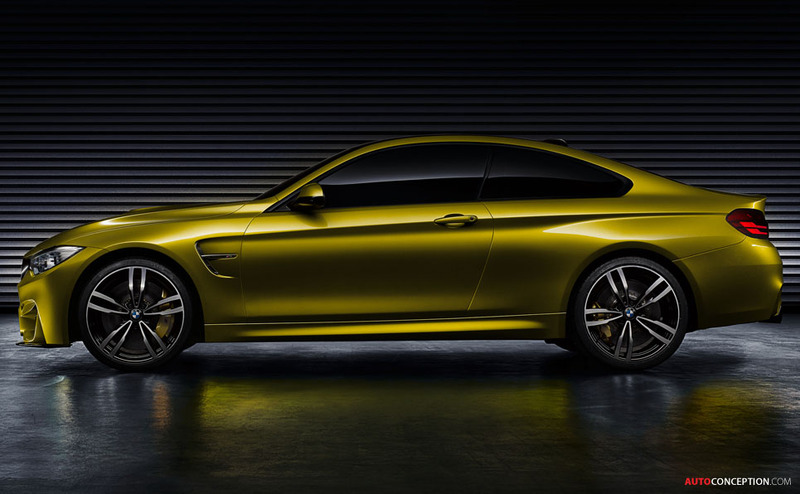 BMW M has taken the wraps off its Concept M4 Coupe. 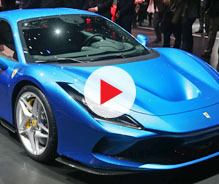 The car was unveiled at the BMW opening media reception for the annual Pebble Beach/Monterey automobile weekend and previews the production version that will launch at the Detroit motor show in January. 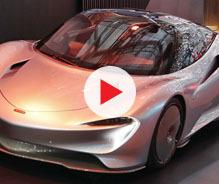 The car, finished in a unqiue “Aurum Dust” colour, features large air inlets in the front and boasts additional carbon fibre reinforced plastics (CFRP) elements such as the front splitter, the roof, and the rear diffuser, all of which have been designed to accentuate the concept’s lightweight racing aesthetic. 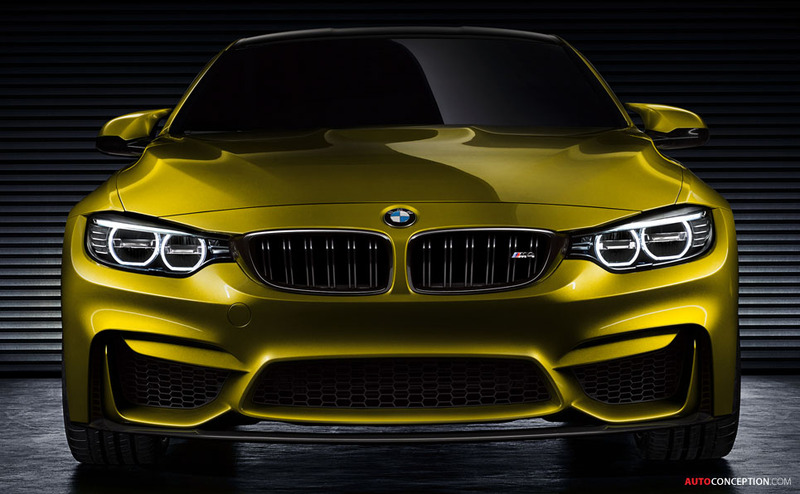 “At BMW M, design is above all an expression of function. 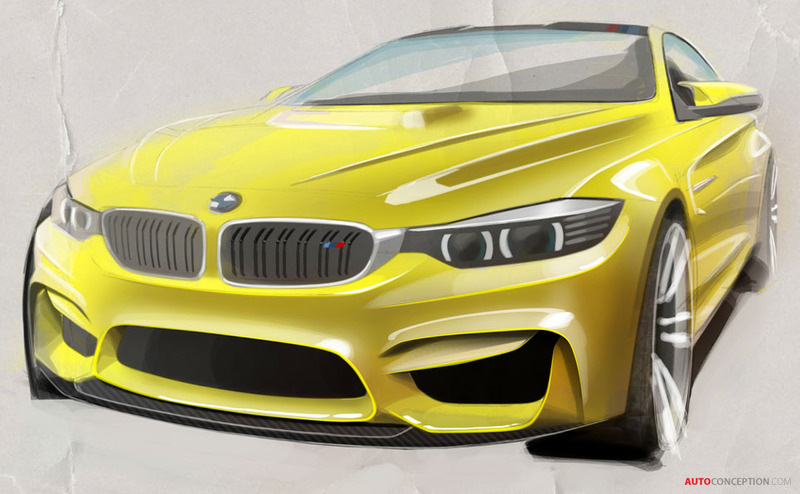 Each design element is based on the underlying technical demands of the BMW M high performance concept. Thanks to this authenticity, the design provides a taste of what can be experienced with each model: Power, precise control and superior handling – an unforgettable driving experience on the racetrack as well as on the road” says Adrian van Hooydonk, head of BMW Group Design. 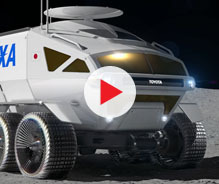 At the front, the three large air intakes collectively supply the engine with sufficient cooling air. 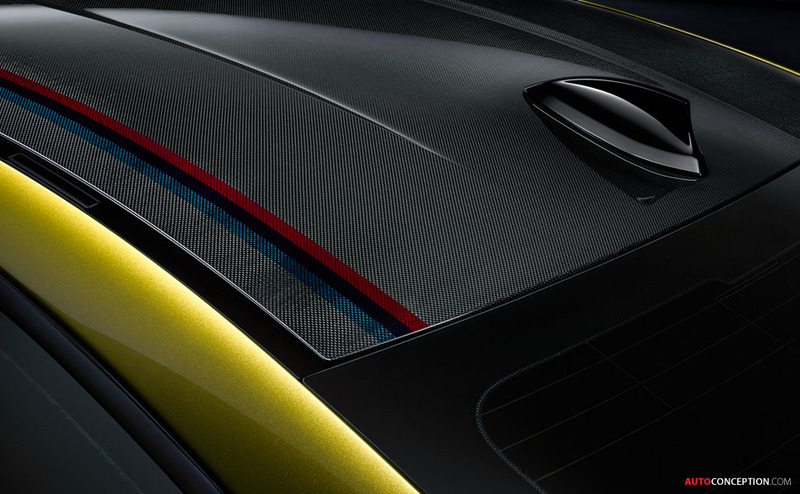 The sharply outlined vertical air vents located in the outer section of the side air intakes, the so-called Air Curtain is designed, together with the Air Breather, to ensure the aerodynamic closure of the wheel arches, which leads to improved air flow and fuel consumption according to BMW designers. 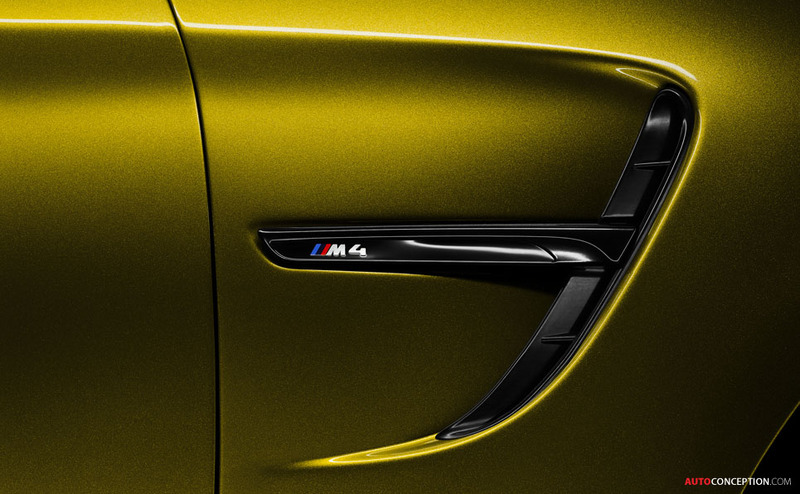 A conspicuous detail on the car’s side panels is the redesigned M gill. 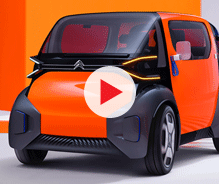 This characteristic M design element serves both as a styling and functional statement. 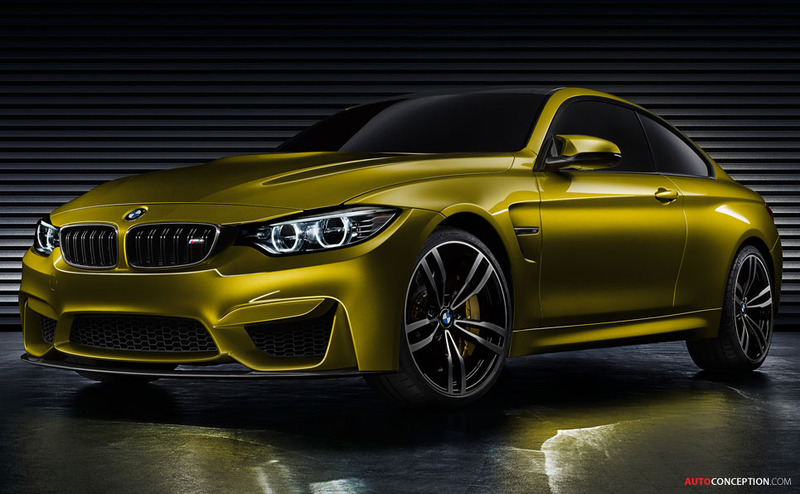 On the Concept M4, the M gills incorporate the Air Breather, which together with the Air Curtain within the front apron serves to ventilate the wheel arches and to facilitate better airflow values. Within the tail section, the design feature of the front apron comprising faceted surfaces is formally replicated and continued further. 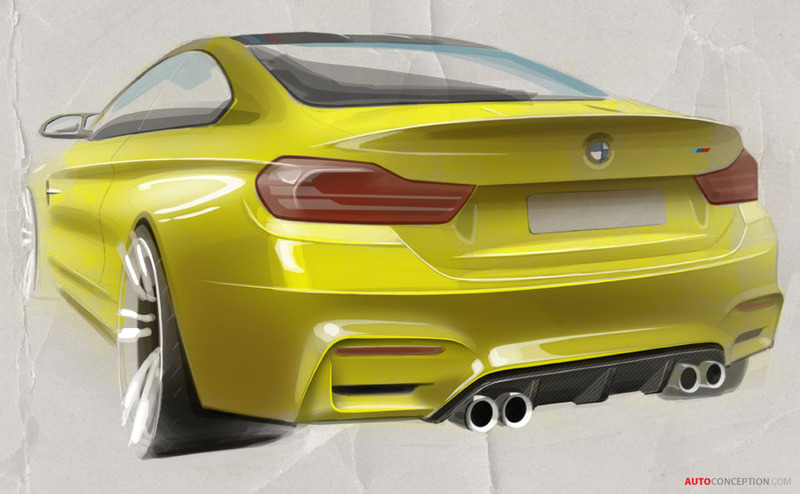 The interplay of surfaces and contours around the optical air vents further accentuates the rear end design. 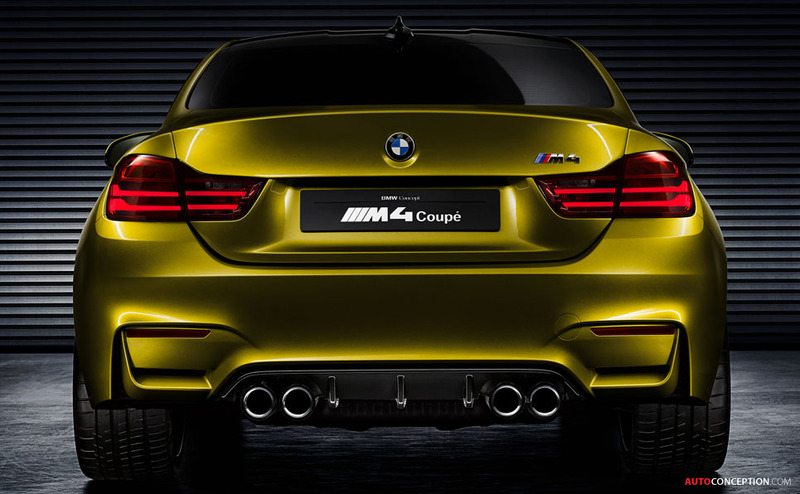 Twin tailpipes are a characteristic M feature on the rear end. 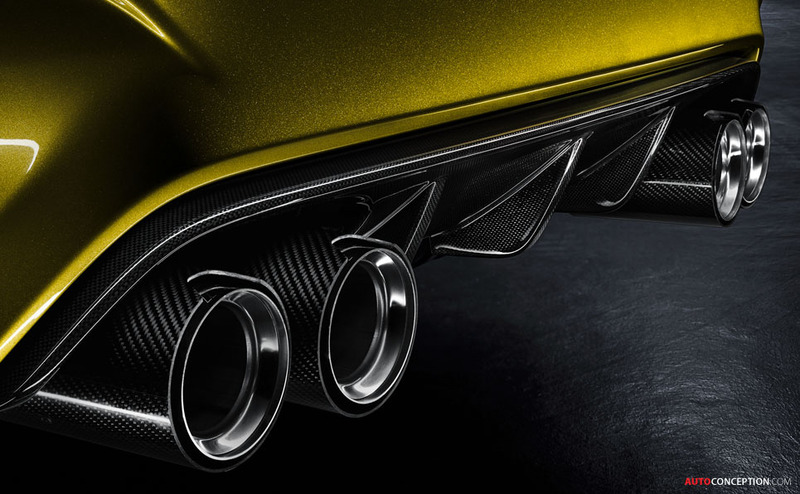 The two pairs of carbon fibre tailpipes are encompassed by the sculptural rear apron. 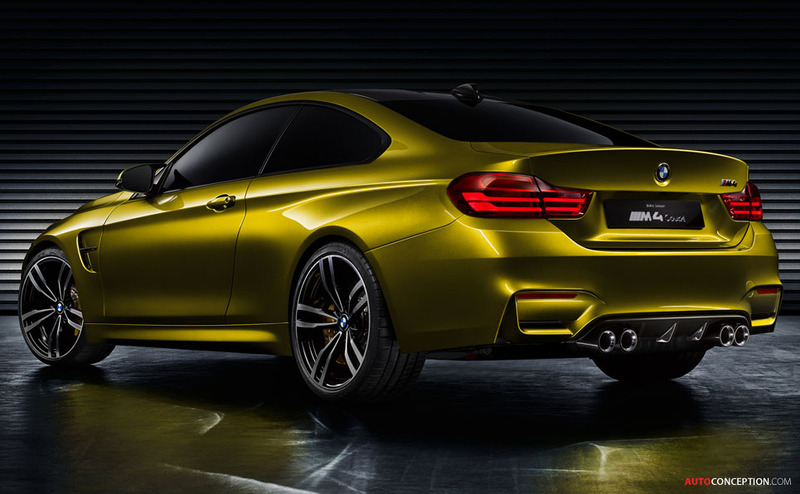 A carbon fibre rear diffuser completes the overall aerodynamics package.